One of the United States’ longest-running surveys on aging, the Health and Retirement Study (HRS), recently was able to add pension plan descriptions from public employers’ websites and private employers’ Form 5500 filings. While in the past HRS has had to rely on replacing missing information with an estimated value for respondents’ pension wealth, the pension plan descriptions have improved respondent-plan linkages, leading to a nearly 90 percent match for private sector employees to DB plans, in addition to the nearly 100 percent match for public sector employees. 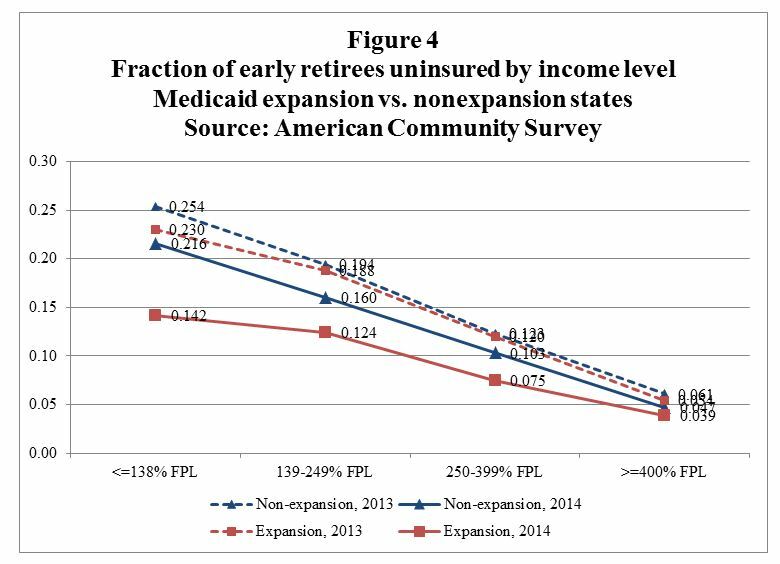 In their recent working paper, “Cohort Changes in Social Security Benefits and Pension Wealth,”Chichun Fang, Charles Brown, and David Weir take advantage of the improved pension information, along with the HRS respondents’ linked Social Security administrative data, to get a better idea of how the decline in defined benefit (DB) plans is affecting retirement preparation at midlife (ages 51-56). The researchers look at how the traditional “three-legged stool” – pensions, savings, and Social Security – is faring. How much has retirement wealth declined since 2000? Are people making up DB losses with increasing defined contribution (DC) plans and IRAs? More recent cohorts have not seen their retirement wealth grow as fast as their lifetime earnings. Retirement wealth did not grow as fast as earnings for women, and it declined for men. 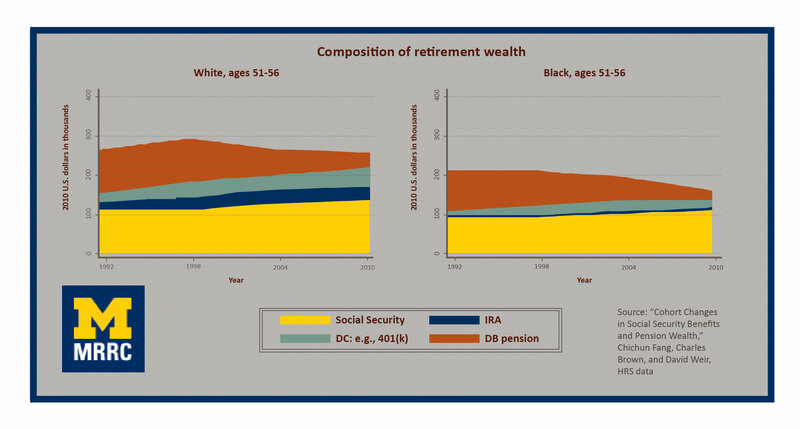 The shift from DB plans has not been met with an equivalent increase in DC/IRA wealth. In fact, Social Security benefits provide a larger percentage of retirement wealth. Minorities historically have been more dependent on pensions for retirement wealth, and therefore, they are less financially prepared for retirement than others in their cohort. In short, Social Security plays a growing role in individuals’ retirement wealth.